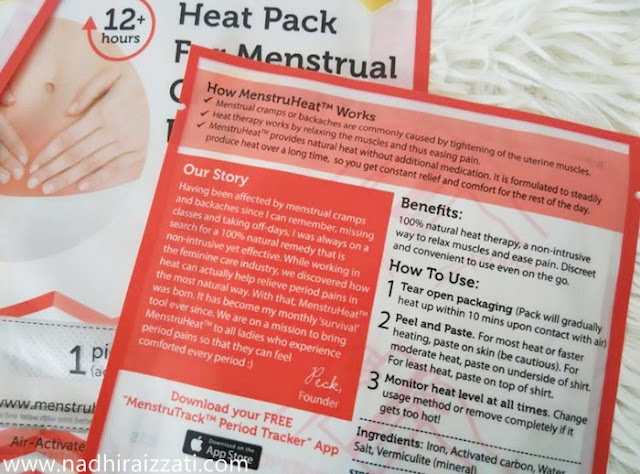 The 'not so best' part about being a female is that we had to faced with the menstrual pain every month! Oh gosh, I hate when it happened. I can't do my job properly, plus with my mood swing on and off when having period. I can't deny, it is very inconvenient. I don't know about you girls, but on the scale 1-5, my cramps only on 3, I guess? Sometimes there was no cramp at all. However, last month I had backache for two days! You know what I did? Luckily this MenstruHeat came in the mail a few days before, so I managed to patch one of it on my back. Slowly I can feel the heat raise and do all the magic. This month, today is my second day on period actually, and yesterday my abdominal hurt so bad! It was unbearable. Thank God I still had a few patches of the MenstruHeat, so I just used that and paste it on. Same thing happened, after 5 minutes I can feel the heat on that particular area and help reduced the pain. I normally took menstrual pain relief but people keep saying it is not good for your body (I guess? ), so now I already got an alternative to overcome the pain. No Side Effect. MenstruHeat provides 100% natural heat, it contains zero medication, is odourless and safe to use whenever needed. Soothes Pain. 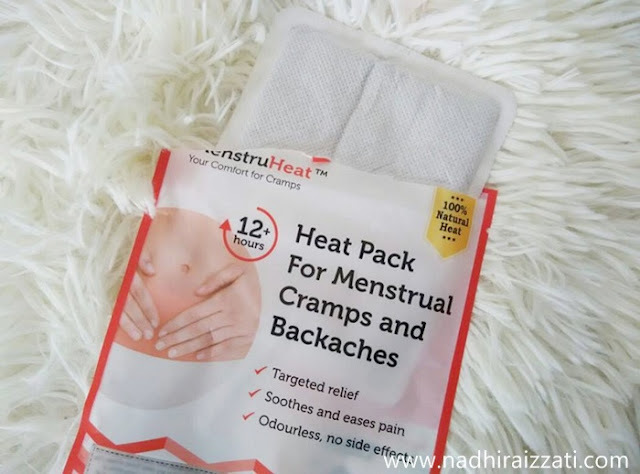 Heat helps to relax the uterine muscle from cramping and is clinically proven to ease menstrual pain and discomfort. Super Convenient. Peel and paste. MenstruHeat heats up within minutes, no microwave or shaking is needed so that you can be comforted anywhere anytime. Long Lasting. Lasts more than 12 hours for all day comfort at work or school, or even throughout the night. p/s: Instead paste it directly on your skin, try to paste it onto your clothes if it is too hot for you. It will work just the same! Thanks for sharing it. I always have to deal with the pain during my period every month but i dont like to take medicine too much :(. 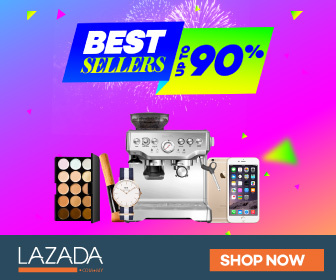 i never knew there were such products! 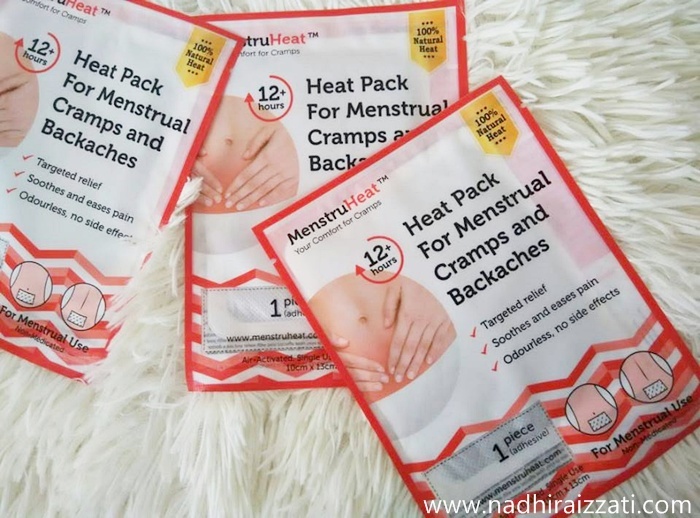 when i was living in korea i had to rely on winter heatpacks but i cant find any back in malaysia. thanks for sharing! might take a look into it!